Built-in automatic timer. 6 hours on, 18 hours off. Amazing grace, how sweet the sound that saved a wretch like me. I once was lost but now am found. Was blind but now I see. 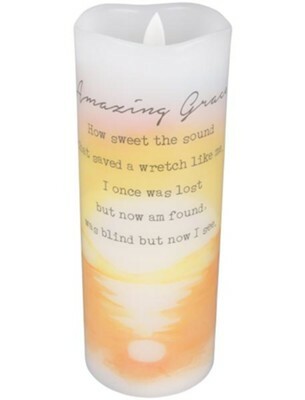 I'm the author/artist and I want to review Amazing Grace Flameless LED Candle.